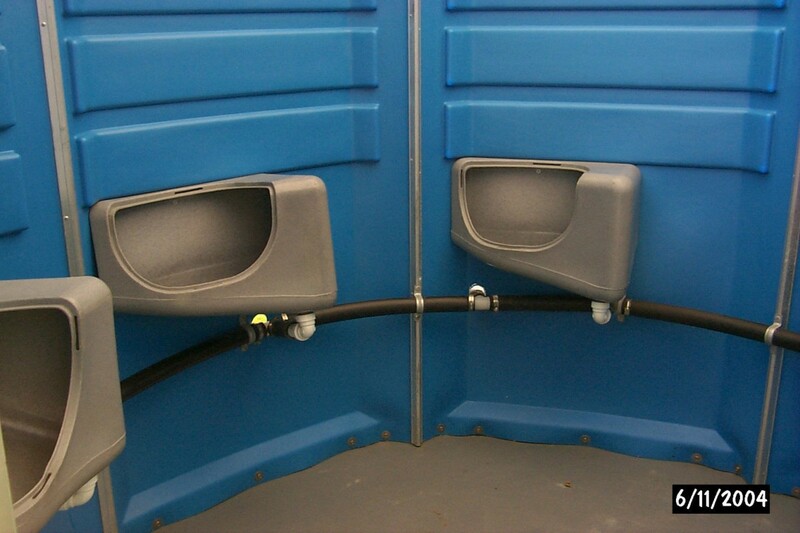 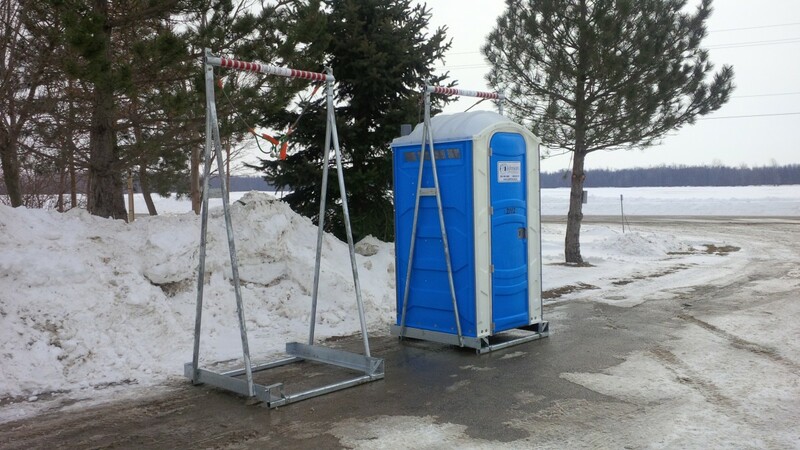 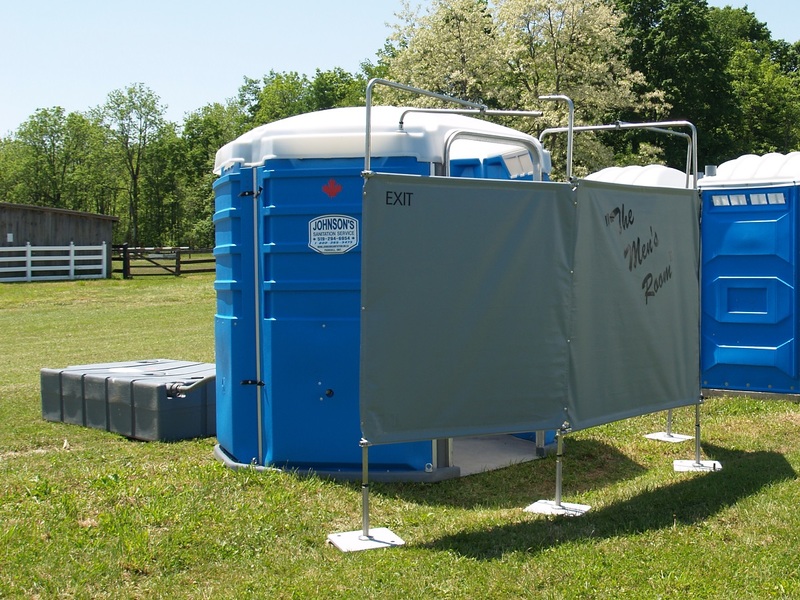 Portable Toilets and Washrooms Rentals > JohnsonSanitation.on.ca | Johnson's Sanitation Service Ltd. 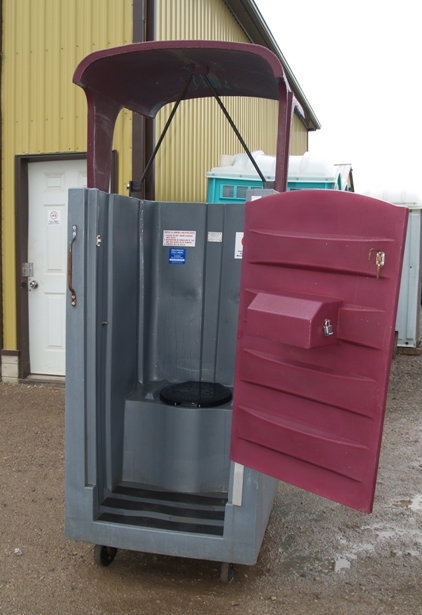 These are some unique items we offer. This unit contains 5 individual urinals and is perfect for large gatherings or where beverages are being served. 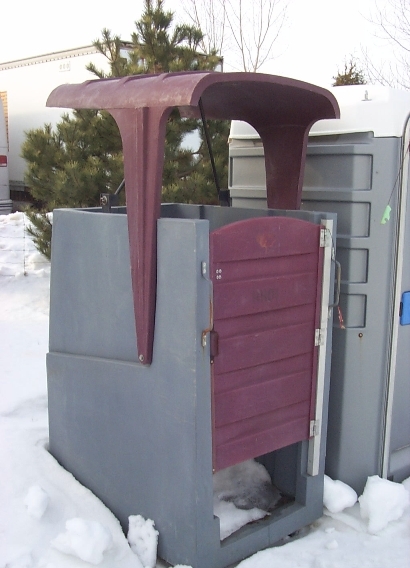 A 200 Imp. gallon holding waste tank is placed behind the unit. 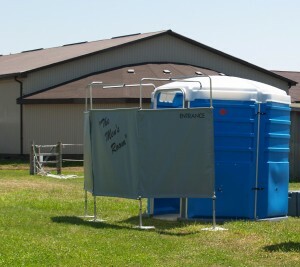 Ample room must allowed for the 5 ft. diameter unit, plus it’s 2 ft tarped walkway and the 4×5 ft waste tank. Designed for high-rise construction projects in conformance with structural requirements of O.Reg 213/91 and CAN/CSA S-16-01 as required by Ontario’s Ministry of Labour. This unit has cable attachment point to raise it by crane to the top floor. For a PDF view of sling stats, CLICK HERE. 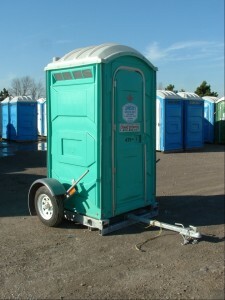 Designed exclusively for high-rise construction projects. 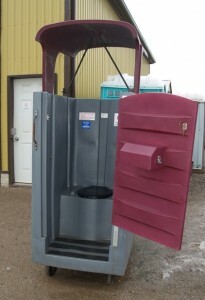 This unit has two options to place it on a construction site. 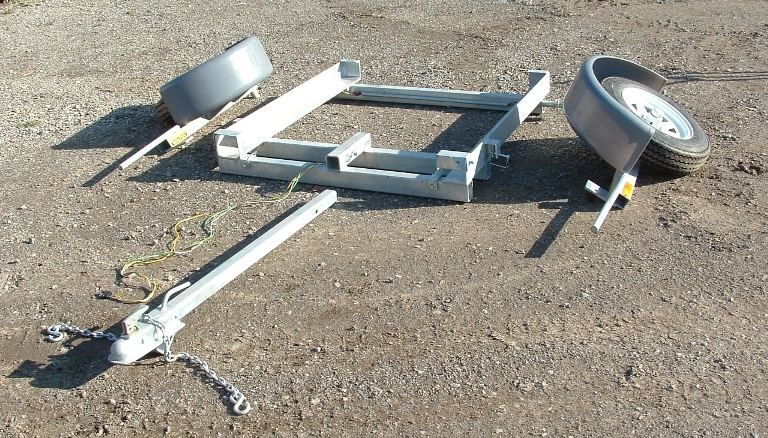 It comes with hook to raise it by crane or roll it into a frieght elevator. 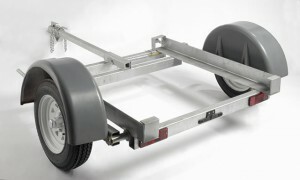 Heavy-duty casters are mounted to base. 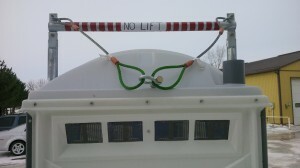 The canopy/roof provides overhead protection. 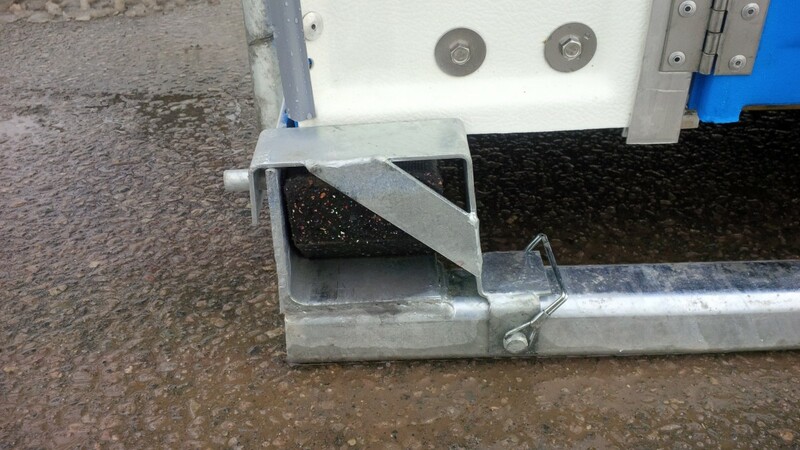 This item is perfect for road construction, curbs and water mains installations, where the work site migrates daily. 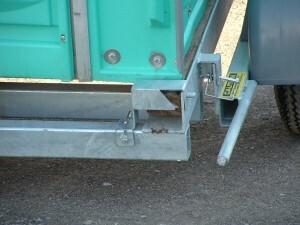 The cart raises and lowers the toilet by cantilever action. 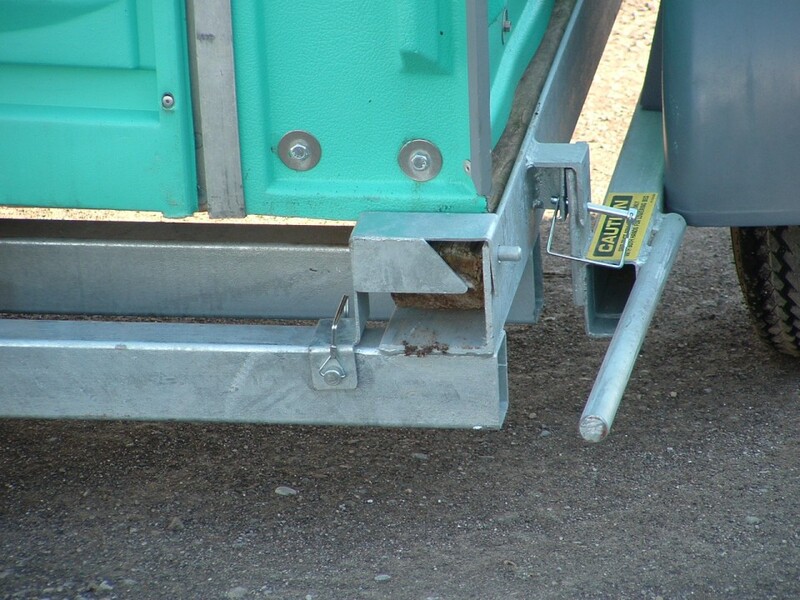 A trailer hitch allows for quick and easy relocation. The trailer tongue is removable to deter theft.